I had every intention to share a Home Tour with y'all today but with the condition of my floors and stuff everywhere that post just didn't happen. I am still waiting to hear back from the insurance company as to what our next step in getting the water damaged fixed! Lots of fun on my part...NOT! In the meantime, I am handwashing dishes SEVERAL times a day! With all of that being said...Ian took the desk that was in the living room and added it to his room which opened up a corner of the living room for ME!! 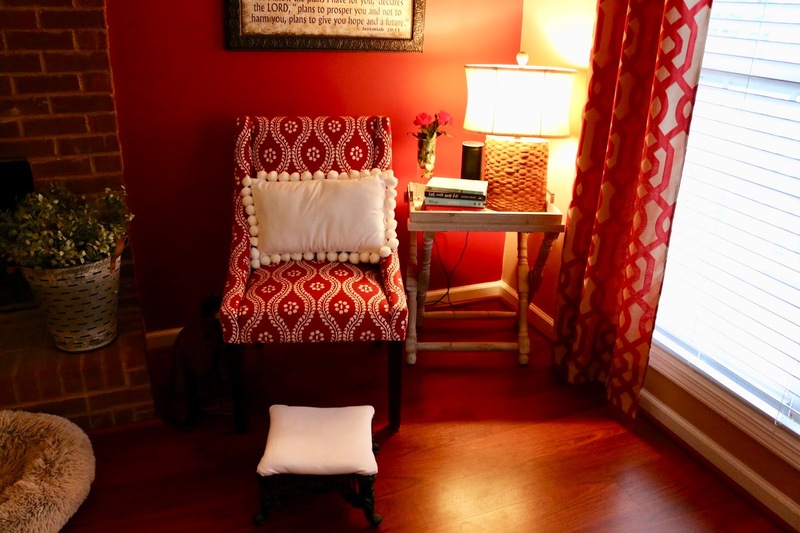 I decided to create my own "Quiet Corner" where I plan to sip my coffee and read my daily devotionals each day! I will be the first to admit that not every morning starts with my daily quiet time and those are usually the days that are crazy, unorganized, overwhelming, and stressful...you get the point. However, the days that I do start with the Lord are the days that seem a lot calmer, smoother, happier...Or maybe it's that I can handle the "craziness" a little bit better when I start the day on the right path! Either way, each day has to get started so I like to start most of mine with Coffee and Jesus!! I created this cozy little nook in my living room!! I had just about everything I needed except the table. This little nook also came at the perfect time...SUMMER Break! Since my kids are older they seem to sleep in later and later so that means I have a good bit of time in the morning to get stuff done before they even wake up!! Here is my new little quiet corner! The tray table I got at Kirkland's on clearance. Roses from my rose bush in my front yard. The chair I picked up a few years ago at Target. The Pillow I got at Hobby Lobby. 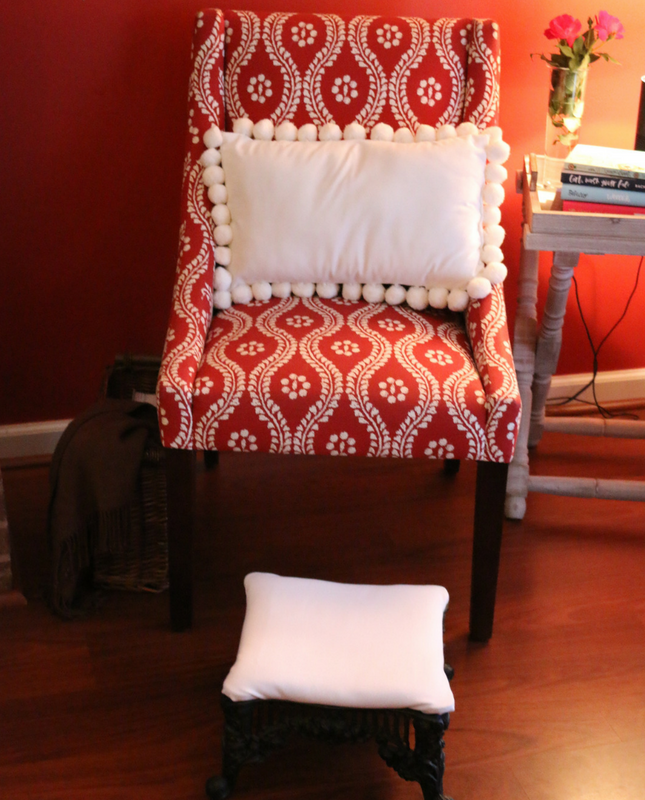 The footstool I picked up several years ago at an antique shop and have recovered it SEVERAL times! 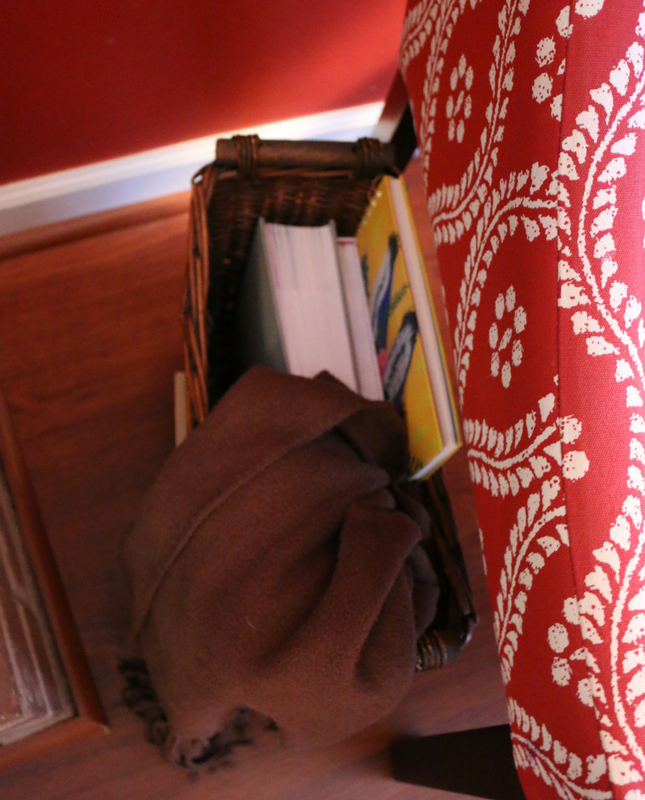 Here are my quiet time essentials. My Bible, Everyday Holy, and my prayer journal! I just finished a bible study and I am waiting for this book to show up to start! It's the perfect corner for me to start the day with coffee and it's a perfect corner for me to end my day with wine. Where do you go to "escape"? 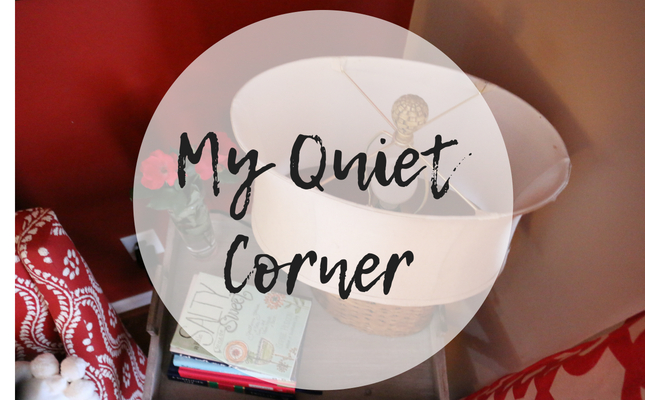 Do you have a quiet corner?? 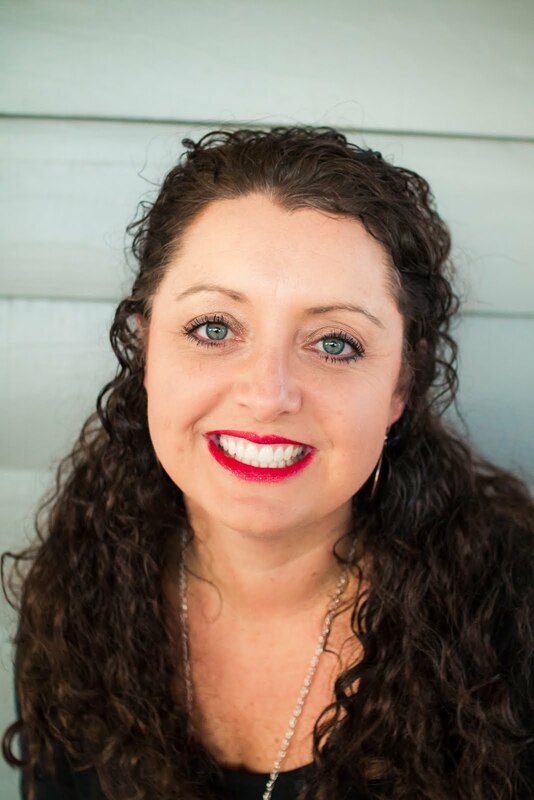 linking up with Lindsay, Whitney, and others for Welcome Wednesday!